FORT COLLINS, CO – July 30, 2012 – New Belgium Brewing’s 2011 Waste Diversion Report is now available at newbelgium.com and shows the brewery diverted 94.38 percent of its waste from landfills last year. However, this number would climb significantly if the craft brewer included spent grain, spent yeast, spent Diatomaceous Earth (DE), or Process Water Treatment Plant sludge, since these materials are diverted to local farms. When including these brewing byproducts, the diversion rate jumps to 99.88 percent for 2011. 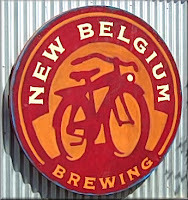 The 2011 report, which can be found at http://www.newbelgium.com/files/sustainability/2011%20NBB%20Waste%20Diverion%20Report.pdf, takes a look at the improvements, success and challenges of New Belgium’s 2011 waste diversion and reduction efforts. It also outlines future projects and tasks that New Belgium hopes will increase its diversion rate and overall waste reduction. • Eliminating two trash dumpsters at its Process Water Treatment Plant and Malt building and replacing them with recycling containers for super sacks, plastic bags and Mylar bags. • Adding compost collection to New Belgium’s offsite warehouse. • Diverting plastic bags, super sacks, Mylar bags, chip bags and compost discs out of landfills. Additionally, the brewery improved systems to collect more Styrofoam and paper packaging than in previous years. • Working to identify waste opportunities where New Belgium can eliminate waste before it enters the brewery. • Eradicating or reducing waste that New Belgium sends to the landfill. • Activating projects that will work to increase New Belgium’s waste diversion rate. For a complete list of specific goals and projects to meet these initiatives, you can view at the full report at http://www.newbelgium.com/files/sustainability/2011%20NBB%20Waste%20Diverion%20Report.pdf. 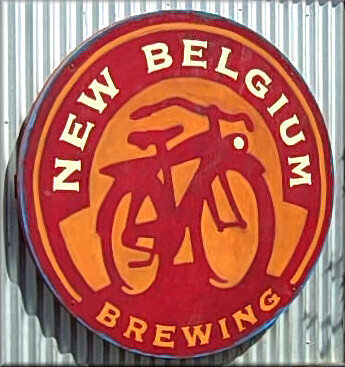 For more information on New Belgium Brewing, visit www.newbelgium.com.